There can’t be too many aircraft that are as immediately recognisable as a Gulfstream. They are the aircraft of choice for the rich and famous, and often used in films and on television to portray power, status and wealth. Although the basic shape of the Gulfstream hasn’t changed since the Gulfstream II, the very first Gulfstream was a turboprop aircraft called the Gulfstream I. During the mid 1950s, Grumman Aerospace was looking at ways of building a business turboprop. At the time, the company was building and selling propeller-driven aircraft that were used in the military, and small amphibious aircraft that were capable of landing on and taking off from water. After looking at adapting one of these aircraft for the role, Grumman eventually decided that it would work on an all new design. Its in-production aircraft at that time had high wings, but after a short study it concluded that it needed to use a low-wing design. It also decided that it would power the aircraft with a pair of Rolls-Royce Dart turboprops, and that the aircraft should have a standup cabin. The design of the G-159, as it was originally known, was completed in June 1957, and the aircraft flew for the first time in August 1958, shortly after being given the Gulfstream name. The Gulfstream found favour not only with executive operators but also with airlines. The aircraft could seat 14 people in a standard executive layout, and after requests from airlines, a larger version called the Gulfstream I-C, was introduced. This stretched the standard fuselage by 3.25m, although only five aircraft were built. By the time production ended in 1969 Grumman had built 200 standard Gulfstream Is. The jet age began in the mid 1960s for both passenger airlines and business aircraft. But whilst the commercial airliners of the time were capable of crossing oceans nonstop, business jets were smaller, shorter range aircraft. Under pressure from existing Gulfstream I customers, Grumman designed a new aircraft that could cross oceans, and at a high speed. Rolls-Royce again supplied the engines, this time versions of the Spey low bypass turbofans that powered the B.A.C. One Eleven commercial airliner. By the time the new aircraft was given the go-ahead in May 1965, Grumman had received 30 firm orders for the type. The first flight followed in October 1966, and the first aircraft was delivered into completion in August 1967. Unlike current Gulfstream aircraft, the GII had its avionics and interior completed by third parties. The Gulfstream II was also the first Gulfstream aircraft to be built in Savannah, Georgia. Although Grumman was based in Bethpage, Long Island, the company had decided to build the aircraft in a different location to keep its civilian and military business separate. As the first long-range business jet, the GII set several records, including becoming the first business jet to fly non-stop over the Atlantic Ocean. The east-bound flight took off from Teterboro, NJ, and landed at London Gatwick Airport 6h 55m later. On the westbound flight, the aircraft took 7h 10m to fly non-stop between Gatwick and Burlington, VT.
Grumman built three versions of the Gulfstream II. The first of these, the Gulfstream IITT had fuel tanks added to the end of the wings to help increase the range. The FAA certificated the aircraft in 1977 and built 18 in total. The next variant introduced was the Gulfstream IIB. This was the first time that Gulfstream has winglets, and the aircraft shared some of the same instrumentation with the Gulfstream III that would later replace it. Grumman built 44 Gulfstream IIBs. The US Navy also ordered a single aircraft for use as a VIP transport. Only one of these aircraft were built and it was given the military VC-11A designation. Four aircraft were built for NASA, but retained their normal type designation. They were later used to train Space Shuttle pilots, and had redesigned cockpits and instruments to match the Shuttle. Each Shuttle commander and mission pilot had to practice at least 1,000 landings in them. Following the end of the Space Shuttle program NASA announced that all four aircraft would be retired. They can now be found on display in various museums around the US. By the end of the production run of the Gulfstream II in 1977, Grumman had built a total of 256 aircraft. Shortly after the final delivery, Grumman Aerospace, who had earlier merged with American Aircraft Industries and renamed itself Grumman American, sold the Gulfstream line of business jets and the Savannah production facilities to American Jet Industries. The new head, Allen Paulson, quickly renamed the company Gulfstream Aerospace, and set about working on the next aircraft in the family, the Gulfstream III. When it came to designing the Gulfstream III, the company wanted an aircraft that could fly further and faster than the aircraft it replaced. Rather than using a completely new wing, early design studies found that the wing from the GII could be modified, retaining the wingbox and structure. The wing that was used has a further 6ft span over that of the Gulfstream II, which helps balance the aircraft following a 2ft stretch of the fuselage. The original Gulfstream III flew for the first time on 2 December 1979, and received its type certificate from the US FAA in September 1980. Unlike its predecessor, the Gulfstream III did not have any upgrades, but several special mission aircraft with different designations do exist. India took delivery of three Gulfstream IIIs for use in special roles, with two believed to be carrying high altitude photography equipment for border control duties. They also took delivery of a third that was occasionally used in a VIP role. The first two aircraft are based on the Gulfstream III SRA platform and have extra bumps on the fuselage and sliding ‘doors’ over some of the windows. Both of these aircraft were delivered through Prestwick Scotland in January 1987, and promptly disappeared from the public eye. One of them was damaged during a hangar collapse at Charbatia air force base in eastern India in 2006. Charbatia is home to India’s Aviation Research Center, with the Gulfstream IIIs operated by the Research & Analysis Wing (RAW). The biggest user of the Gulfstream III though is the US military, whose Air Force, Navy, Army and Coast Guard have all used it. The military designation for these aircraft is the C-20, with a character following denoting the usage. The C-20 designation stuck with Gulfstream in military service, and was later used on the Gulfstream IV. The largest group of these was the C-20A, which was used as a VIP transport aircraft, the C-20B designation was used on the only Coast Guard operated aircraft. At the time, the Coast Guard was already using Dassault Falcon 20s (Designated HU-25s) to fly missions, so the C-20B was used as a VIP transport for the commandant of the Coast Guard and the Secretary of Homeland Security. In all, there were 202 Gulfstream III aircraft built until production was completed in 1986. What came next would be the aircraft family that sold the most. During the mid 1980s, the US economy had recovered from the disastrous recessions of 1980 and 1982-1983. Global economies were growing as well and, as international air travel was expanding, the globalisation of business was well underway. But it wasn’t just Gulfstream that knew this. The Gulfstream II may not have had any true competitors but, by the time it came for the Gulfstream IV to be introduced, several new models from already established manufacturers had entered the long range category. The first of these was the Challenger 600. Canadair, which was mostly building propeller-driven aircraft at the time, acquired the basic design for the aircraft from Bill Lear. Ironically at the time, Canadair had been part of General Dynamics, who now own Gulfstream Aerospace. General Dynamics sold Canadair to the Canadian government in 1976, which following large losses in the Challenger programme sold Canadair to Bombardier. To round the irony off, Bombardier later bought LearJet. When it came to designing the Gulfstream IV, the company again wanted an aircraft that would fly further and faster than its predecessor. The Gulfstream III fuselage, itself a stretch of the Gulfstream II, was stretched by a further 5.1ft. The wing was also redesigned, although the control surfaces remained untouched. This and other aerodynamic changes over the GIII wing gives the GIV an additional 300nm in range. The engines and the cockpit were also updated with the GIV becoming the first business jet to have an all-glass cockpit. 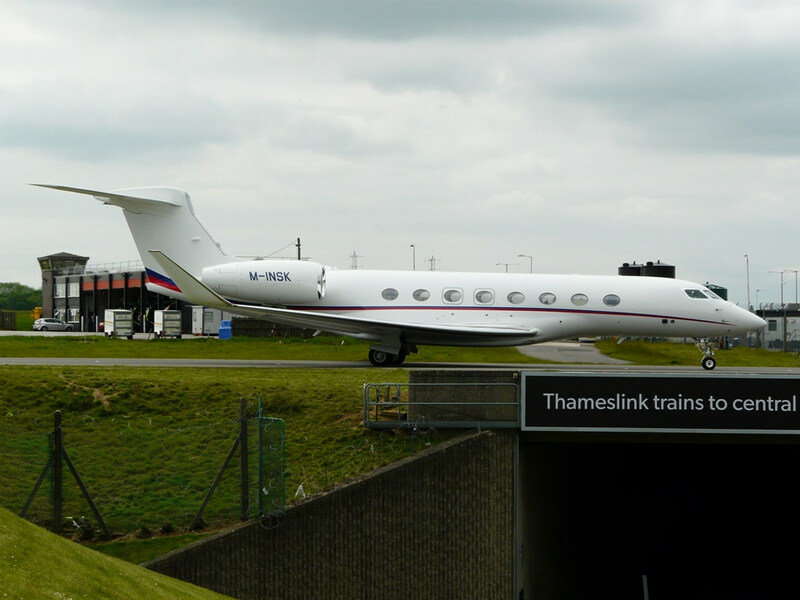 The original Gulfstream IV flew for the first time in September 1985. FAA certification followed in April 1987 and deliveries started shortly afterwards. Several years after the introduction of the straight GIV, Gulfstream introduced an upgraded version called the GIVSP. All aircraft built after MSN 1215 were built as the SP variants, although a handful of aircraft built before this were also built as SPs. The major change in the SP version was a switch in engines. The original GIV used Rolls-Royce Spey engines, but the GIV started using the Tay family instead. The Tay 611-8s on the SP burn 15% less fuel than the Spey engines on the GIV, and and give out fewer emissions. The first SP was delivered in 1993, and Gulfstream continued to build it until the end of production in 2005. It was later renamed the G400 to bring into into line with later nomenclature. As well as the civilian version, there were several different versions of the GIVSP built for governments and air forces around the world. These include the Japanese Self Defense Force which currently flies five Gulfstream IVSPs that are configured for multi-purpose roles. The main difference between these and the standard Gulfstream IVs is that the U4s have a large cargo door on the right side. The aircraft can be reconfigured in just an hour to perform different missions, including medical evacuations and marine patrol. All five aircraft fly from Iruma Air Force base near Tokyo. One of the more interesting Gulfstream IV applications is in use with the National Oceanic and Atmospheric Administration (NOAA). This aircraft is a storm chaser, flying over developing storms to measure, track, and send data back to base. To do this, the aircraft has two main measuring tools. The first is deployed from the aircraft and is known as a GPS dropwindsonde. It measures humidity, temperature and pressure, as well as GPS Doppler frequency shifts as it travels downwards. Once the data has been analysed, it is sent the to National Centers for Environmental Prediction and the National Hurricane Center, where it is included in their hurricane model runs. The tail aircraft has been modified to house a doppler radar. This protrusion makes the aircraft almost instantly recognizable. It contains a slow-spinning radar that looks at the storms structure to analyse its intensity. In the same year that the Gulfstream IV flew for the first time, Gulfstream changed hands once more. This time the new owners were Chrysler Corp, who paid $637 million. for the company. Chrysler wanted to branch out more into technology, saw Gulfstream as an ideal way of doing this. The ownership lasted for less than four years. A deepening crisis in the automobile industry around the end of the 1980s meant that Chrysler put Gulfstream, as well as its military technologies business, up for sale so that it could regain its focus on car and truck manufacture. Chrysler had bought Gulfstream for $637 million in cash and notes in 1985, and sold it in 1989 for $825 million, having lost $664 million in the last quarter of 1988. With new owners again, Gulfstream set about building further production facilities at its Savannah base. In the early 1990s, the company began developing its next aircraft. Derived from the Gulfstream IVSP, the Gulfstream V has a fuselage that is seven feet longer than the IVSP. To be able to achieve this, Gulfstream lengthened the fuselage by five feet in front of the entry door, and a further two feet behind the wing. Rolls-Royce once again supplied the engines, this time BR700-710A-10s, which have a higher bypass ratio over the engines on the GIVSP. The Gulfstream V flew for the first time in 1995. Certification and first deliveries followed in 1997. By the end of production there had been 193 aircraft built. Several years after the the Gulfstream V was introduced the company was sold once again. The new owner this time around was General Dynamics, which paid $5.3 billion. General Dynamics saw some gaps in the Gulfstream line-up, especially on the smaller side. Rather than going ahead and designing a new aircraft from scratch, General Dynamics purchased Galaxy Aerospace for $330 million, and with it the Astra and Galaxy business jets. Under the terms of the deal, Israel Aircraft Industries (IAI) would continue building both the Astra and Galaxy, but completion of the aircraft would be done by Gulfstream in the US. All aircraft are built and have their avionics installed in Tel Aviv, and are then ferried out to Dallas, Texas to have the interiors fitted. With a wider product portfolio, Gulfstream began working on a replacement for the Gulfstream V. Rather than taking the route it had taken since the Gulfstream II, and simply lengthening the airframe, Gulfstream introduced two new models, one larger and one smaller than the Gulfstream V.
By the time the new aircraft were introduced, Gulfstream had changed the naming convention on its aircraft. Rather than sticking with Roman numerals as it had done for many years, it instead chose to use the Arab system. All in-production aircraft at the time were renamed. The Gulfstream IVSP became the G400, the Astra became the G100, and the Galaxy became the G200. Although the earlier Gulfstream V delivered just under 200 units, its replacement, the G550, has so far seen more than 550 aircraft deliveries. Officially the G550 is the Gulfstream VSP. The range has been boosted by an additional 250nm thanks to upgraded engines, which also offer increased fuel efficiency. The type certificate was granted by the FAA in 2003, and deliveries began shortly afterwards. At the same time as introducing the G550, Gulfstream also began selling the G500. Externally identical, the G500 is a shorter-range version of the G550 with fuel tank plugs. Fewer than ten of the shorter range G500s were sold. 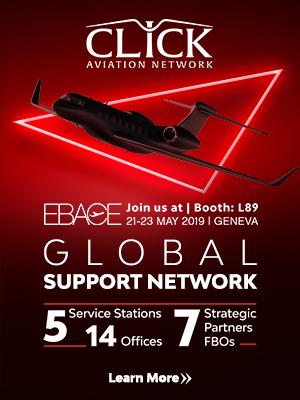 As well as the civilian applications, the G550 is used as the base for an Airborne Early Warning & Control (AEW&C) platform by several air forces around the world. 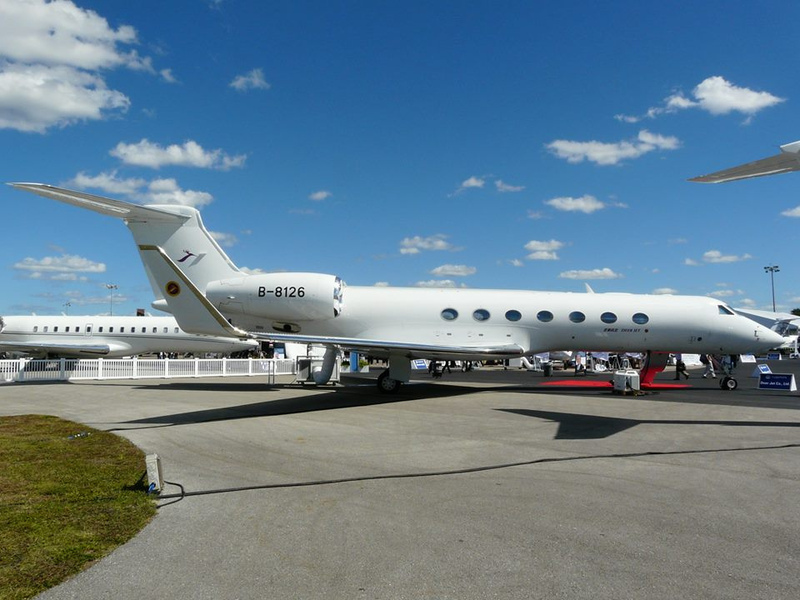 Although several different versions of the systems are used, IAI is the best-known company to convert the aircraft, having originally worked on the concept based on the Gulfstream V frame for the Israeli Air Force. Currently G550 AEW&C aircraft are in service in Singapore, Israel and Italy. The aircraft is heavily used by governments around the world as VIP transports, as well. 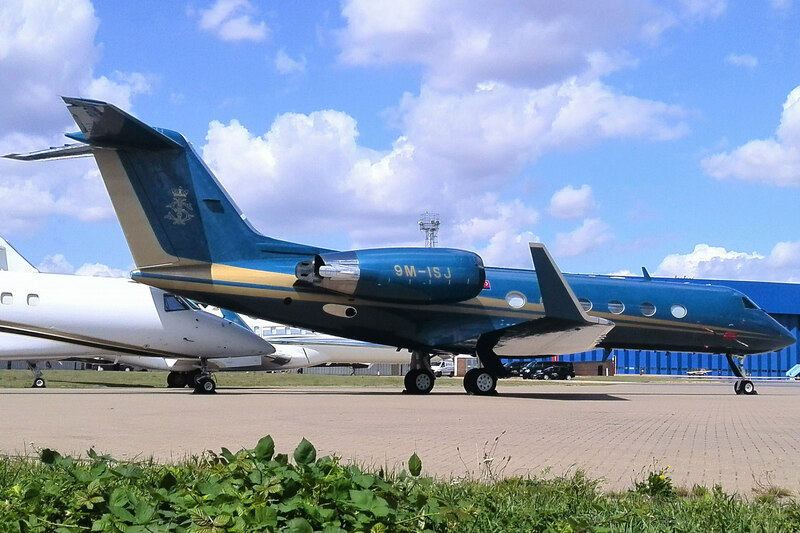 Although some have now upgraded to the larger G650, government operators include Azerbaijan, Kuwait, Morocco, Nigeria, Poland and Uganda. Shortly after the introduction of the G550, Gulfstream began selling the G450. This was a continuation of the very successful Gulfstream IV family. The fuselage of the G450 is 12 inches longer than the GIV, and the main entry door has been moved backwards. The engines are also upgraded, this time featuring Full Authority Digital Controls (FADEC). In keeping with the G550 line, Gulfstream also introduced a shorter range version of the G450 called the G350. Much like the G500, the G350 only sold a handful of units, with only 11 aircraft delivered before the end of production. 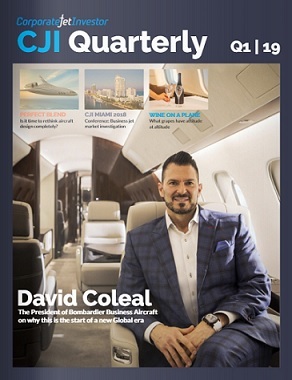 With General Dynamics building up Gulfstream’s brand, both with aircraft and also service capabilities, the next model to come along would really cement the manufacturer’s brand. Gulfstream knew that it wanted an aircraft that could fly further and faster than any other business jet on the market at the time with the G650, and it did exactly that. The G650 was also the most expensive aircraft around. Gulfstream began working on the G650 in 2005, and it was officially announced to the world in March 2008. As the Gulfstream flagship aircraft, the G650 can carry up to 18 passengers and fly for 7,000nm. The G650 flew for the first time on 25 November 2009, and eventually received its type certificate from the FAA at the end of 2012. Tragically, one of the test aircraft crashed part way through the flight test programme, with all onboard losing their lives. Towards the end of certification people began to speculate about who would be taking delivery of the aircraft. As it aircraft had garnered so much attention, Gulfstream changed the ordering process for it. Rather than going down the usual route of a customer placing a deposit and reserving a production slot, G650 slots were given out on a first come first served basis. The company looked at the precise time that the deposit hit its bank account, to the millisecond, and then gave out the slots in order. The eventual winner was Pres Henn, a Florida-based businessman, who was reportedly racing cars at the time but had stopped just to make the transaction. Henn took delivery of his aircraft but then leased it straight back to Gulfstream for use as a demonstrator. However, two aircraft left Savannah on the first day of deliveries, with long-time Gulfstream customers Exxon Mobil and Steve Wynn both taking delivery of one. The first non US based customer delivery was to a Russian businessman, although the aircraft was registered with the Isle of Man. Gulfstream said publicly that it had received more than 200 orders for the G650 by the time the first aircraft was delivered. Whilst a healthy order book is good, it means that any new customers are going to have to wait a long time for a delivery slot. As a result, for the G650 at least, people were willing to pay a premium for pre-owned aircraft. The first G650 to be sold on was originally delivered to Formula 1 boss Bernie Ecclestone, who is believed to have sold it as it couldn’t operate into Saanen Airport in Switzerland. The aircraft was sold to Thai businessman Vichai Srivaddhanaprabha, who paid $72 million, a healthy $10 million more than Ecclestone originally paid for it. With G650 production in full swing, rumours began surfacing about a new project called P42 getting underway. Little was known, but speculation began that it would be a replacement for the G450. But rather than just replace the G450, Gulfstream decided to replace the G550 as well. Two new aircraft were unveiled in 2014, with the G500 replacing the G450 and the G600 replacing the G550. During the unveiling ceremony, Gulfstream surprised everybody by having the first G500 already complete and taxiing into view under its own power. Both aircraft are currently in flight testing, with the first G500 delivery scheduled to take place before the end of 2017. The slightly larger G600 is due to enter service in 2018. 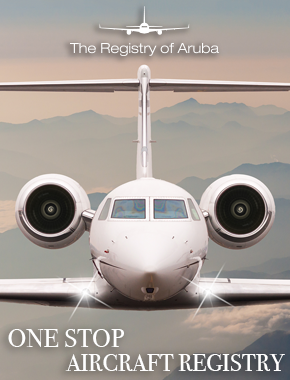 Gulfstream has, over the course of the last 40 years, become synonymous with quality. It builds aircraft that push technologies further. The G500 and G600 might not be the first business jets to use fly-by-wire controls, but they are the first to use active sidestick technology that mirrors the movements on one controlstick to the opposite controlstick. With two new aircraft in the pipeline and one of the most talked about aircraft in history still in production, Gulfstream has invested in its future even in difficult economic times. Before the official launch of the G500 and G600, documents began surfacing on the internet referencing a P42-1, P42-2 and P42-3. We could assume that the G500 and G600 are two of those aircraft but, with the fuselage barrel of the P42 project rumoured to be designed to be stretched or shortened, we are likely to be close to the launch of another new aircraft. Which way Gulfstream decides to go is all speculation. However, with the G650 still selling well, it is unlikely that the company would want to unveil a replacement five years after the first aircraft was delivered.